The Econo Lodge Bay Breeze hotel in Seaside, CA is an easy stop on the road, just off Highway 1, on the Monterey Bay shore. Let us help you stay on budget so you can focus on the important reasons you are here in the first place. We offer travel-essential amenities such as free Easy Starts continental breakfast, free WiFi, free coffee and even an area for rinsing off dive gear. 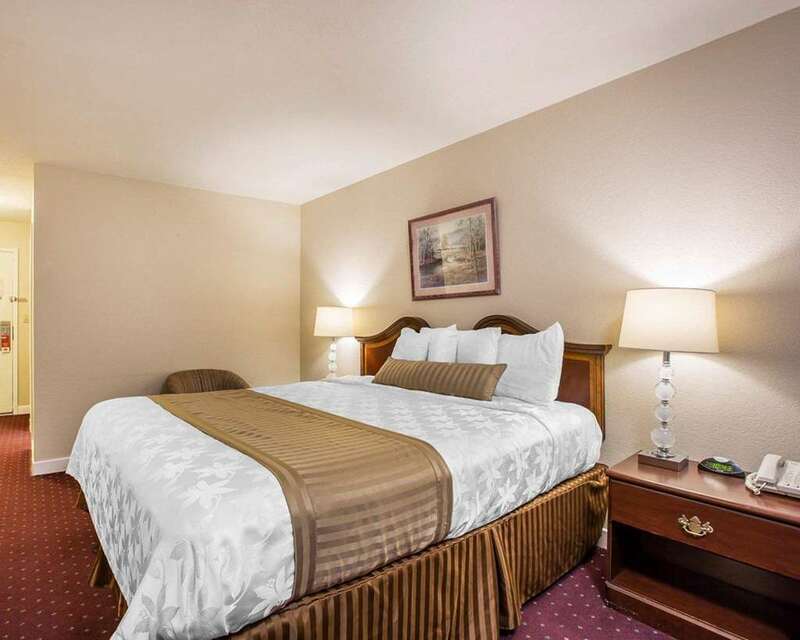 When you are ready to settle in for night, enjoy a relaxing evening in you guest room, which includes a balcony, hair dryer, coffee maker and TV. Select rooms also include microwaves and refrigerators. Also, earn rewards including free nights and gift cards with our Choice Privileges Rewards program.